I'm excited to introduce Christina from "Hands Full and Loving It (mostly)" for today's "This is What Family Home Evening Looks Like at My House". I love her perspective on Family Home Evening because you can tell in everything she does that she has a testimony of family. I hope you enjoy her as much as I do! Life at the Bartholomew home is anything but calm. With eight kids born in eleven years, our two boys and six girls (including one set of twins) keep us on our toes. Our oldest daughter turns twelve this month, and Family Home Evening has been a tradition since before she was born. Our format has adapted a lot over the years as our family has matured. When our kids were young, we often read stories from the Friend magazine or the scripture readers and played very simple games. We are pretty flexible about family home evening. Occasionally, we’ll go to a play or fun community event, but usually, we stay home. We have a song, a prayer, a lesson, a game or activity every couple of weeks, and a treat. We often bribe our kids to listen by reminding them that the treat is for kids who are reverent. Sometimes it works and sometimes it doesn’t. We often have to shush the kids and remind them to listen, to stop poking their sister, to sing politely and not at the top of their lungs (or conversely, to sing the words and not mumble). It’s chaotic at times, yes, but we’ve had some wonderful experiences through Family Home Evening as well. We don’t currently use a chart, but we have at times in the past. One thing that worked well for us for a time was to have a chart with the assignments, including a “talent presentation.” Our kids loved showing off for the family. We had some interesting dance moves demonstrated, some creative somersaults, and our favorite, the pillow trick. 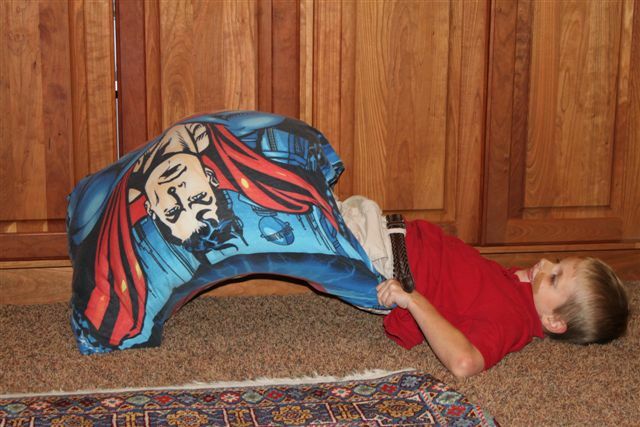 My son Michael had figured out how to get his whole body inside a pillowcase, with the pillow still in it. He was hilarious to watch and the rest of us would crack up as he contorted himself into various positions before asking his dad to close up the top and pick him up. We feel our lesson time is the most important part of our evening – maybe not the most fun or even the longest part, but the most important. Kids are bombarded every day with anti-family and degrading messages. We need to do everything we can to combat that. We can’t shield our children from every bad word or negative influence, but we can give them the tools and the strength they need to withstand it. By teaching our children the gospel of Jesus Christ daily in scripture study and weekly in Family Home Evening, we are helping them to arm themselves with the Whole Armor of God. Having said that, however, is not to imply that we spend hours preparing lessons. We don’t. Most of our lessons are prepared in fifteen minutes or less. Our secret? We rely a lot on reading and discussing aspects of the gospel. When I read the conference issue of the Ensign, I mark the parts of talks that stand out to me and then later, I’ll pull it out and we discuss it, teaching along the way. We ask questions like, “How does this apply to us?” “Who have you seen in our family who does this?” or we share examples from our lives. I usually lead the lesson, rotating at times with my husband and my older kids, but that doesn’t mean I’m talking the entire time. If the lesson is on gratitude, for example, I might begin by reading a scripture and then ask the kids to share something they are grateful for. We might talk about ways to show our gratitude and practice saying thank you. If the lesson is on kindness, we might talk about examples of people who are kind and how we can become more like that. Our younger kids aren’t as engaged in some parts of the lesson, but I know they are absorbing some of it and they are learning powerful things from the example of their older siblings. I always close with my testimony and at times, I have challenged my kids to find out for themselves that what I’m saying is true. I’ve talked to my kids many times over the years about what the Spirit feels like and how to receive answers to prayer. One of the blessings of having children growing into the tween years is that I can see the effects of those things I’ve taught them. My oldest reads her scriptures on her own and writes in a journal, and her testimony is blossoming. My second son is becoming more confident in his ability to share and teach the gospel – he recently volunteered to substitute at the last minute for a talk in Primary. With just a moment’s notice, he got up and gave a great talk about the trials of Job and how we need to have faith in challenging times. · We once taught a lesson on gratitude by cutting out pictures from National Geographic to show how people live in other parts of the world. We’d seen some entitlement attitudes creep into our family and we were able to teach “where much is given, much is required,” as well as humility. 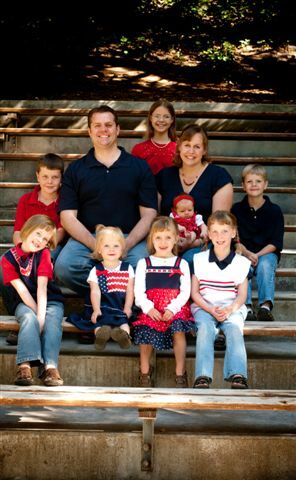 · At the start of each school year, my husband gives me and each child a blessing. It is always a powerful experience to hear directly from Heavenly Father through those priesthood blessings. · My daughter taught about the Word of Wisdom once by having three baskets, labeled “always,” “sometimes,” and “never.” She had all sorts of pictures she’d cut out from magazines or printed from the computer and had each child put their picture in the correct box. · Five years ago, we had a family home evening where we had the children, all under age six, share with us what they wanted in our next home. My husband and I added our own desires, and we began praying as a family that we’d find the home with those things. 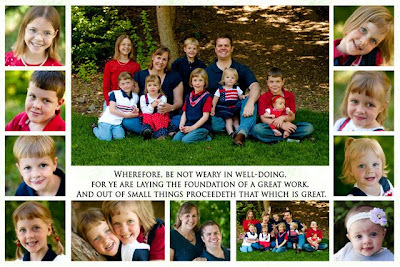 · Four years ago, we moved into our completed home and had a special prayer of dedication, blessing it to be a place of peace and refuge and safety for the children we had then and the children who would still join our family. · Last December, we went to the Carl Bloch exhibit at BYU, had dinner with our grandparents, watched How the Grinch Stole Christmas, and went to the Farley Family Christmas all in the same night. · For the twenty-four days leading up to Christmas this past year, we read a true Christmas story each day as a family and enjoyed a small treat. The last few days before Christmas, we invited a different elderly neighbor each night to visit with us and share a Christmas story from their lives. · The Pillow Game. 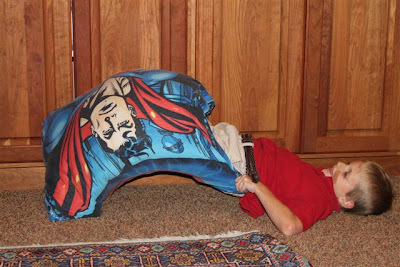 (by the way, our family is NOT obsessed with pillows – what gave you that idea?). In this one, we line up pillows on both sides of the room. One child chooses an animal and then the kids act like that animal all the way to the pillows on the other side of the room. Mom or Dad is the judge and chooses who did the best imitation of that animal, and that child chooses the next animal. We played this in my family growing up and even the littlest kids adore it. Acting like monkeys, kangaroos, and frogs is a sure way to build family unity. · Do you love your neighbor? · We celebrate birthdays at Pirate Island Pizza sometimes. · We once had a Mario Kart Wii tournament for our activity. This week, I gave the lesson on D&C 82:3, about “Where much is given, much is required.” I started with a “suppose” question about who would be more in trouble about getting into a brownie on the counter, Lillian (age 10) or Harmony (age 2). The kids all understood the principal. “Harmony’s just little and she doesn’t understand yet,” said Allison. We talked about how Heavenly Father expects more of us because of all the things we’ve been given, especially the gospel and our testimonies. · On Monday, for our FHE lesson, we talked about the pre-earth life and what it might have been like there. I shared with the children how special it was for them to come to our family, and how exciting it will be when our baby is born and we get to know her again. Then we talked about each child in our family and everyone shared what they liked about them. It was wonderful to hear good things about each child and the children thrived on the positive attention from their siblings. When we tried to move from Sarah to Eliza, she protested, "Hey, you need to say more about me!" It also helped me to see my children more clearly and with more compassion. [My husband] gave the lecture -- I mean, lesson -- last week on obedience. It was needed. · Lillian was in charge of the Family Home Evening lesson two weeks ago. She’s been wanting to address lying and stealing (especially from HER room!) for some time, and she did a great job of it. She had set up areas of the room labeled with “Sister’s Room” “Dad’s Office” and “Kitchen.” Then she and Joey acted out a skit about a boy who keeps taking things from each room and then lying about it. She had Joey carry a backpack and each time he lied about something, she put a rock in it. She said that lying makes life harder. She read a couple of short stories from the Friend magazine and then we talked about what the boy in the skit could have done better. 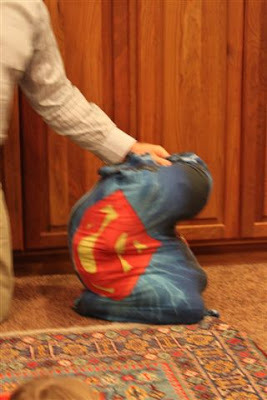 · Last week, we had a particularly tough sacrament meeting. The kids were all loud and had to be shushed and our zone defense was breaking down. Even Lillian was talking loudly to Eliza several times. It didn't help that Sarah lost her front tooth, one she's been wiggling for several weeks, right during the sacrament prayer. She had amazing patience and waited to show me until after the prayer, but that was all she could think about the rest of the meeting. She wanted to show her new smile to everyone around us, drew pictures of the "tooth bunny" and was very excited. The lesson on Monday was about reverence and the purpose of going to sacrament meeting -- to remember the Savior. I summarized the story out of the recent Ensign about the family who had memorized the Living Christ document, but that was about as far as we got because, ironically, no one was being reverent at Family Home Evening either. We sent the kids to bed early, without treats. · For Family Home Evening, we discussed the Friends section of the For the Strength of Youth pamphlet. I asked each person to think of a friend they liked and tell us why they liked them. Most came up with a variation of “they’re nice.” We discussed how to be a good friend and why choosing good friends is important. · For Family Home Evening that night, I taught a lesson on kindness. We've been having more sibling squabbles than usual lately. It's funny because a month ago I would have said our kids get along wonderfully and hardly ever fight, but as the summer has worn on and the kids are spending more time together, it's gotten more frequent. I reminded the kids that Christ told us that we should love everyone and treat them kindly, not just people who are nice to us or are our friends. Christ said that even sinners are nice to their friends. What really makes us Christian is when we're kind to everyone, even when they annoy us, or get into our stuff or are unkind to us. I hope the message will sink in. The most important thing about family home evening, in my mind, is just to do it consistently, no matter how hard or fruitless it may seem at times (I’ll never forget that disastrous lesson on reverence I tried to teach when we invited our new neighbors over a few years ago. It was so glaringly obvious why it was needed, as my kids bounced up and down, climbed on the neighbors, and were only quiet for about thirty seconds.). But when we put the Lord first by making Family Home Evening a priority, we give Him a place in our home to work miracles, to have those moments where we KNOW our children are understanding us and places where the Spirit can dwell and perhaps become a permanent visitor. My husband had to work a lot of Monday nights a few years ago and sometimes, by the time Monday evening rolled around, the kids were cranky and tired and so was I. I wanted nothing more than to pull an “old woman in the shoe” and just send them all to bed, but I made it a point to have Family Home Evening even when my husband couldn’t be there. I was always impressed by the change in our home. I could be at my absolute wit’s end with no energy left, but as we sat down and I taught a simple lesson, the Spirit would be there. Some of those Family Home Evenings became very powerful spiritual experiences, and I could feel the Lord honoring my meager efforts. Just as Jesus could take five loaves and a few fishes and feed a multitude, He can take our noisy, busy Family Home Evenings and feed our children the Living Bread they will need for the rest of their lives. Doing what the Lord has asked of us builds my confidence in His help. I often feel overwhelmed and inadequate to meet the tasks of raising this family of eight bright, energetic, and crazy kids, but I have felt great peace and comfort from the promises attached to family home evening and scripture study. Because we do both, I feel I can go to my Father for help with all of my problems, no matter how small, and that He will answer because I’m doing my best to do my part. On our wall, we display this collage with photos of our family, each of our children, and one of my favorite scriptures, “Wherefore, be not weary in well-doing, for ye are laying the foundation of a great work, and out of small things proceedeth that which is great.” I believe that Family Home Evening is one of those small things that will pay great dividends in the future. Don't forget that on Monday I will be hosting a blog hop for you to link up to your own post about "This is What Family Home Evening Looks Like at My House." Everyone who participates in the blog hop will be eligible to win one of these two great prizes! Holy cow! I'm in awe right now ... Christina, thank you so much for sharing your life with us ... and I'm excited to check out your blog! Thanks for sharing your wonderful ideas! We had "talent" on our FHE rotation chart for quite a while (you get creative when you have 8 slots to fill!) and we loved it. We usually had the typical "sing a song" or "color a picture", but a couple of my favorite talents were the 3-year-old reciting the alphabet and the 2-year-old demonstrating "Power Ranger" karate moves. Our kids LOVE having FHE, even when they are rowdy and crazy. It amazes me how important it has become in our family. This has been such a great topic for this week. Thank you so much! We only have one little girl and have tried to find out how to make it work without completely making her do everything. I have found some excellent ideas that I can't wait to try out. Love the ideas here. Especially the detail because it will be so easy to redo it for my own family. Thank you. I love the idea of including the "talent presentation." In the past when I thought of including something like that I always thought it had to be like "I have been practicing this song on the piano for a month and I can finally play it well" or whatever. I like that it can be simple accomplishments, tricks, discoveries, etc too. Makes it seem less daunting to me to have someone "prepare" a talent to share and seems like it would be a lot of fun.